Despite narratives by contemporary textbooks, the earliest of Thanksgiving celebrations were established to acknowledge the hand of God, and give thanks to Him, for deliverance and His mercy. The holiday continues today as a subtle reminder of our dependence on God for the blessings we enjoy as Americans for our freedom and those who have stood as defenders of that freedom and attendant liberties and rights. It also serves as a gentle reminder that our founding fathers feared not the presence of religion in society and even government, but rather a repressed exercise of religion. 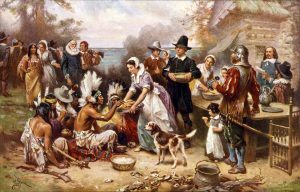 Edward Winslow recorded the Pilgrims’ reaction as believing “it would be great ingratitude, if secretly we should smother up the same, or content ourselves with private thanksgiving for that, which by private prayer could not be obtained. And therefore another solemn day was set apart and appointed for that end; wherein we returned glory, honor, and praise, with all thankfulness, to our good God, which dealt so graciously with us…” This was the original American Thanksgiving Day, centered not on harvest feasting but on gathering together to publicly recognize the favor and provision of Almighty God. After converting to a capitalist system, the Pilgrims production and success far exceeded their expectations, and began trading their surplus with neighboring Indian tribes. As news of their success spread across Europe, Puritans who had been persecuted throughout England migrated en masse to the American northeast. The Great Puritan Migration brought hundreds of thousands of immigrants seeking religious freedom and a stable temporal existence. 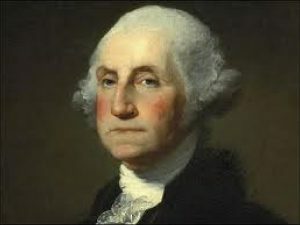 After ratification of the Bill of Rights, the first formal action of the newly formed United States of America was a resolution of thanksgiving. Congress recommended that citizens “gather together and give thanks to God” for the blessings bestowed upon their fledgling nation. It is proper for us, indeed, requisite of us, to look to the past to gain appreciation for the present and perspective for the future. While Thanksgiving Day is the formal recognition of our gratitude to the Almighty for our temporal blessings, we should acknowledge throughout the year our heartfelt indebtedness for our freedoms and the country that was founded on principles of individual inalienable rights. Cicero philosophized that “Gratitude is not only the greatest of the virtues, but the parent of all of the others.” Considering the dearth of virtues in our society today, the need for gratitude has never been greater. 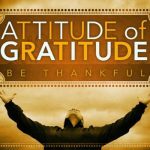 I’m convinced that many of the social and cultural problems we face today are the result of a loss of a collective sense of gratitude. Rather than being grateful for what we have and the blessings that we enjoy, although sparse they may sometimes seem to us, we focus on what we don’t have, or what we think we deserve or we’re entitled to. This lack of gratitude is concomitant with narcissism and self-centeredness, and reveals a deep character flaw; absence of humility. In my estimation, no one has captured this sentiment better than a former president of the LDS Church. Gordon B. Hinckley said some years ago, “Our society is afflicted by a spirit of thoughtless arrogance unbecoming those who have been so magnificently blessed. How grateful we should be for the bounties we enjoy. Absence of gratitude is the mark of the narrow, uneducated mind. It bespeaks a lack of knowledge and the ignorance of self-sufficiency. It expresses itself in ugly egotism and frequently in wanton mischief…. May we make of this Thanksgiving season a true season of thanksgiving. Be grateful. Truly grateful, and humility and a host of other virtues can follow. And not just grateful to our fellow man, but perhaps most significantly, to God. Our founding fathers and the Pilgrims have shown us how.